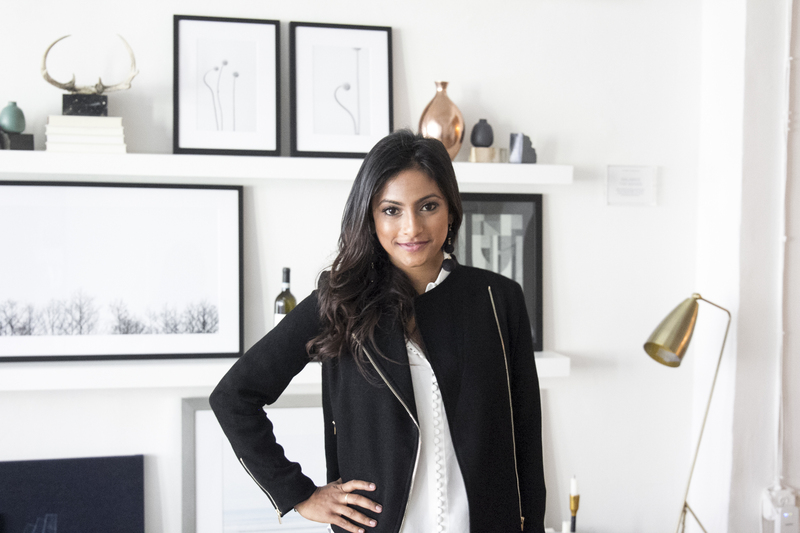 When Nithya Thandi doubled down on digital innovation with her agency, the numbers grew. Here’s how yours can too. The customer is always right is the refrain of Business 101 lectures around the country, but many of us know it’s all too easy to get preoccupied with long-term goals and short-term stressors that we forget the needs of our customers all together. In fact, Nithya Thandi believes the biggest mistake innovators make is thinking they cannot ask consumers exactly what they want. After putting in 100-hour weeks as an analyst, Nithya knew she wanted to make a significant career change. In 2007, she began consulting on product development projects before joining RAIN Agency after the birth of her daughter. The early stages of motherhood allowed Nithya to reassess her career and figure out what excited and inspired her. As a full-service digital innovation agency, RAIN is at the forefront of what’s new, now. So, we had to know how Nithya, as CEO of RAIN, manages to stay ahead of the curve. “It’s good to be a little scared at work,” Nithya says, because that’s how you know you’re being challenged. 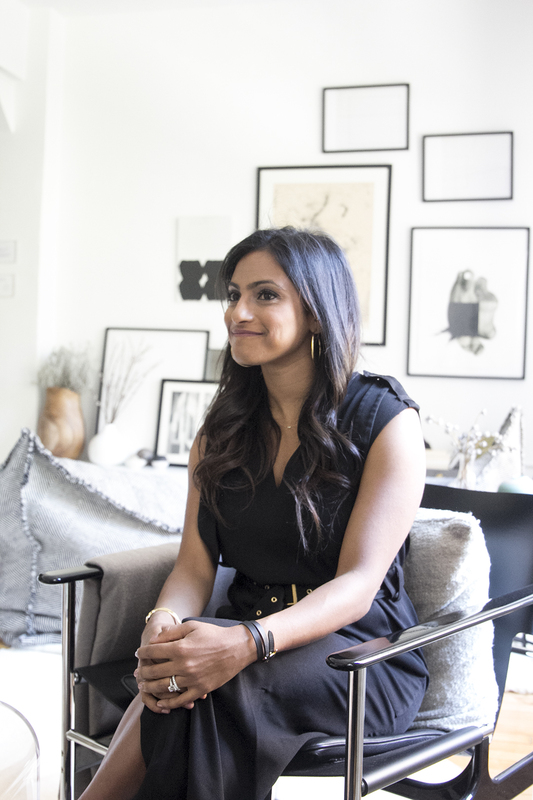 Although she hadn’t planned to join a tech-focused agency, Nithya remained flexible and open to opportunities, a mindset that served her well as she adapted to different demands and technologies. Decoding the digital ecosystem, doesn’t happen overnight. Here, Nythia shares her insights on emerging trends, why her hunch on Voice technology is sure to reap big rewards and how other business leaders can tailor their strategies to suit evolving consumer patterns. WHAT TO THINK ABOUT BEFORE LAUNCHING A NEW PRODUCT: One of the biggest misconceptions that I see in the innovation space is the belief that you can’t ask consumers what they want. This ties back to the famous Henry Ford quote – “If I had asked people what they wanted, they would have said faster horses.” Maybe. Consumers may not be able to connect the dots and articulate exactly what product they’re looking for, but they can give you enough insight into their experiences, behaviors and pain points to get you there. Don’t discount the power of speaking to customers about innovation; if they aren’t giving you insightful answers, you’re probably asking the wrong questions. THE NEW TECHNOLOGY TO HAVE ON YOUR RADAR: A big focus for RAIN over the last year has been Voice technology (digital assistants like Amazon’s Alexa or Google Home), and specifically, how to help brands build a unique conversation on these platforms. We see Voice technology as transformative to the way companies market to consumers, and we’ve only just hit the tip of the iceberg on where it can go. Voice will be ubiquitous sooner than marketers realize – integrated into our cars, homes and offices. So, while the platform is nascent, there is an advantage to getting a head start… now’s the time to gather learnings and test the channel as a way to reach consumers. ON HER CAREER IN THE INNOVATION SPACE: I have a somewhat non-traditional agency background. I started my career in finance, working at UBS Investment Bank in the Consumer Products and Retail Group. Despite – the brutal 100-hour weeks working as an analyst, I’m grateful for the experience – it’s given me some of the foundational business knowledge and perspective that’s guided me throughout my career. After investment banking, I joined Fahrenheit 212, an innovation consultancy focused on new product development. When I joined in 2007, it was a small 8-person operation out of a studio space on Morton Street. We scaled the company to over 100 employees and it was sold to CapGemini Consulting in 2015. I left F212 around the time I had my daughter, Sonia. It’s funny how things work out – spending time with her gave me a moment to reflect on my career, and it’s what led me to my role at RAIN. HOW HITTING A GROWTH CEILING INSPIRED A BIG LEAP OF FAITH: It’s good to be a little scared at work. When there’s a nervous “oh sh*t” feeling that comes before a big meeting or presentation, you know you’re being challenged and it forces you to be better. Before making the jump to RAIN, I started to crave that nervous energy. Having a role that pushes me outside of my comfort zone is important to growing as a leader, and when I lost that, it was a clear indicator that I had to make a change. You never know where the next job opportunity will come from. We all have at least a vague idea in our minds of which path we expect to take in our careers, and sometimes that assumption limits us in the types of people we meet or conversations we have. When I started working with RAIN as a freelance consultant, joining an emerging tech-focused agency was not really in “the plan.” I almost missed an opportunity that was right under my nose. Keeping an open mind and building those relationships ultimately led me to the role I have today. IT’S OKAY NOT TO TICK EVERY BOX ON A JOB DESCRIPTION: I used to feel like I had to but all of that changed when I had Sonia. It was a big lesson for me in understanding that there is never a “good time,” and you can’t always be ready in every situation. Sonia came almost a month early – there was no time to read the books I’d planned to read or prep the nursery in the way I’d hoped. But I learned quickly through experience and by leaning on others for help. I also decorated the nursery later (and she’ll never know!). Jumping into a situation without being fully prepared is different from pretending to know something you don’t. In the workplace, I’m always open and honest when playing to my strengths, and I don’t hesitate to lean on my team. I would never want to miss out on a good opportunity in fear of not knowing it all – I’ve learned there will always be time for that. HOW RAIN IS HELPING BUSINESSES FUTURE-PROOF: The technology landscape shifts quickly – we help brands navigate how technologies like Voice, Augmented Reality, or chat bots fit into their larger digital ecosystem. The biggest misstep we see is brands jumping onto these new platforms in a silo, without thinking about how adoption fits into their broader strategy and customer conversation. We have a tech team of engineers and developers that can build any digital experience, but we’re hyper-focused on how what we build ties back to consumer needs, and aligns with our clients’ business priorities. Every day, we advise clients to look at the intersection of white space market opportunities, customer needs and existing business capabilities to find new growth opportunities. Repositioning RAIN was an exercise in taking our own medicine. One of the biggest revelations from my early work at RAIN was that our technology capabilities were underleveraged (at a time when brands and marketers are particularly relying more and more on technology to drive business). We had to look at our own strengths and simultaneously figure out where we could carve out white space – for us, it was emerging technology. 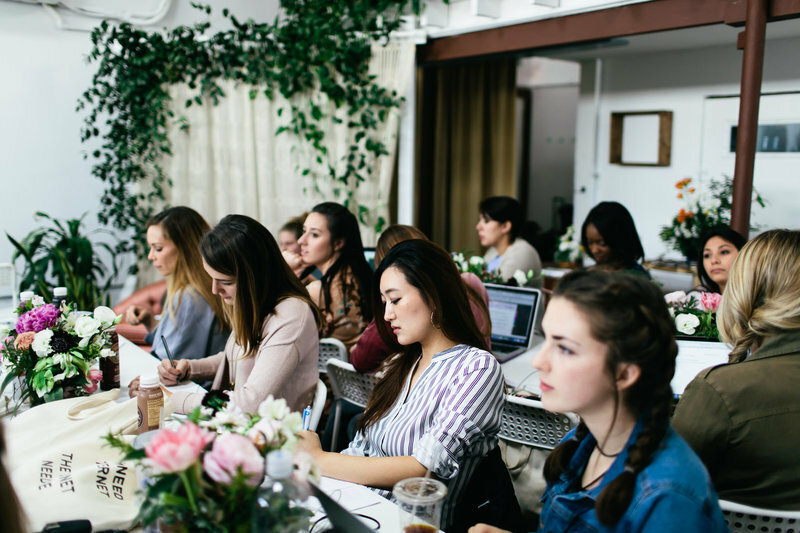 WHAT TO KNOW BEFORE YOU NICHE DOWN: Carving out a niche for your brand is important, but the key is to avoid getting pigeon-holed into a space that doesn’t give you room expand, or one that has a short shelf life. If you can’t see a roadmap and sightline to the evolution of your product in three to five years, it’s possible you’ve gone too niche. Being focused can help establish a customer base and market, but it should a “way in” to a broader conversation and product offering. HOW NICHING DOWN HELPED THEM SCALE THEIR BUSINESS: Over the past 12 months, we’ve step changed the growth of our business. Voice and emerging technology has shifted from roughly 15% of our business to nearly 50%. We’ve built and launched over 30 voice experiences for large brands like Marriott and Campbell’s, and we’re tracking to double that number. As a business, our shift in focus has fundamentally changed our company’s DNA – how we operate, who we hire, how we sell, where we work, and what we make. One of the biggest barriers as a client services provider is penetrating existing client relationships. A majority of brands have long-standing partnerships with an agency or group of agencies, and it can be difficult to break from that. Emerging technology has been our Trojan horse into these companies, because we can offer something specialized and unique that’s outside of the traditional offering. Brands are able to break away from AORs, and come to RAIN for a specific need. ON REBUILDING THEIR TEAM TO SUPPORT THE NEW VISION: As any business shifts to adapt to changing market conditions, it’s natural that not everyone will be on board, and that’s OK. I love the book, “Good to Great’ and one of my favorite quotes is “if people get on your bus because of where they think it’s going, you’ll be in trouble when you get 10 miles down the road and discover that you need to change direction because the world has changed.” The moral of the story is that you want people at your company who are flexible and adaptable; folks who are along for the ride, not some predetermined destination that’s been set in stone. In the world of emerging technology, this is particularly important. As I leader, I try to do everything I can to keep the right people motivated to stay at the company and help shape where we’re going. THE CASE FOR ESTABLISHING A COMPANY CULTURE: It has become somewhat of a buzzword and is sometimes viewed as a “softer” capability within an organization, but there is a real ROI to building a strong and cohesive culture. It directly influences everything from process to people, and getting culture right can have a meaningful business impact. Culture matters throughout the evolution of a business, but I think it becomes particularly important as your organization scales and enters new stages of growth. It’s one thing to set a vision for growth, but culture is what allows you to achieve it. This is why it’s become such a priority at RAIN. Across our three offices, culture is the common thread that ties everyone together. My biggest learning around culture is that it doesn’t just happen, it has to be set. I had once believed that if you put all the right people in place, culture would just form organically. I’ve come to learn, though, that it has to be defined, codified and communicated (repeatedly) in order to be realized. If you’re trying to change or improve culture, it’s also important to know where you’re starting from — we spent time speaking to employees to really understand the culture (good and bad) today at RAIN. This was the first step in creating a realistic and achievable ambition for what we can be in the future. ON LOOKING TO THE FUTURE: The best advice I can give is that you’re never “there”. Once you’re comfortable with where you’ve landed as a business, it’s likely time to look inward and start innovating again. The key is to never stop evolving, and to always be iterating. At RAIN, it’s safe to say that we evolve every month. Just as you’d approach new product development, a company should be ready for constant change.